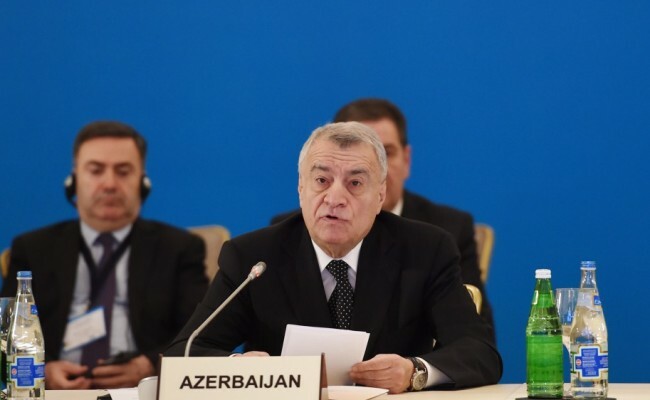 Azerbaijan is in talks to join the Organization of Petroleum Exporting Countries (OPEC) as the cartel is looking to bolster its position against the backdrop of the rising US shale oil production. An agreement with 10 non-OPEC countries, including Azerbaijan, that has cut output and raised oil price ends this year and some OPEC officials are worried that it won’t be extended. OPEC added two new members in the past two years, bringing its membership base to 14. With new crude coming from the US, Canada and Russia, the cartel’s share of the oil market has dropped to 40% from 55% in the early 1970s, undercutting its ability to influence prices as it once did. Although the former Soviet republic is not a major oil producer, having Azerbaijan onboard will help OPEC to boost its relationship with Russia, which has been key to sticking to the oil output freeze deal. “Azerbaijan is considering all options to further strengthen its relations with OPEC,” the organization’s Secretary-General Mohammed Barkindo commented. “I believe that, as the cradle of the oil industry,” with the first oil well drilled in Baku in 1846, “the strategic Interest of Azerbaijan lies in OPEC,” he said. The Azerbaijani side has not commented yet. Following the deal on oil production cuts in late 2016, Gabon and Equatorial Guinea – which together produce around 500,000 barrels of crude daily – rejoined OPEC (in Gabon’s case) and the latter, as third-largest oil and gas producer in Sub-Saharan Africa, joined the group for the first time. The Republic of Congo said it intended to join the organization in June. South Sudan and Uganda are saying they want to join, citing the cartel’s role in balancing the oil price. Azerbaijan’s crude production was around 810,000 barrels a day in January, against OPEC’s daily total of 32.2 million barrels.